MetroPlan Orlando plans, supports, and advances the region’s network of Complete Streets. 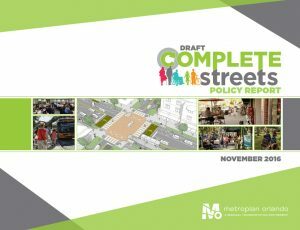 When we talk about Complete Streets, we mean streets that are planned, designed, constructed, operated, and maintained to safely and comfortably accommodate people of all ages and abilities. That includes pedestrians, cyclists, transit users, motorists, and freight and service operators. Complete Streets enhance public health, as well as the environment, and economic development throughout Central Florida. We are establishing a regional Complete Streets policy to guide planning and design of Central Florida’s transportation network. Our goal is to create livable communities that provide safe, convenient transportation such as walking, bicycling and public transit, in addition to driving. The Complete Streets Policy Report makes the case for Complete Streets and explains how this approach can benefit Central Florida. 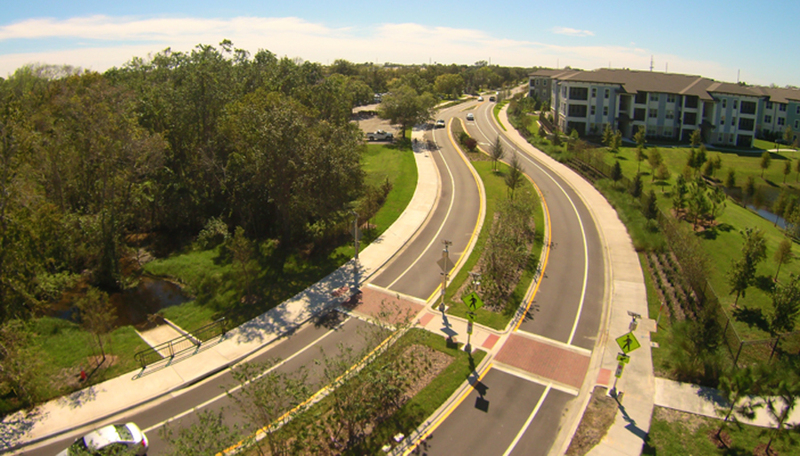 A draft Complete Streets policy for Central Florida, included as Appendix C of the final report, sets out guidelines to ensure our region takes advantage of opportunities to plan and build roads for all users. This draft policy is awaiting approval from the MetroPlan Orlando Board. A study looking at Corrine Drive, from US 17/92 to Bennett Road, will use MetroPlan Orlando’s draft policy to showcase how Complete Streets techniques can shape a corridor. MetroPlan Orlando is leading the Corrine Drive Complete Streets study in coordination with Orange County, City of Orlando, and City of Winter Park. Corrine Drive is owned by Orange County, maintained by the City of Orlando, and adjacent to the City of Winter Park. With multiple jurisdictions and outside stakeholders involved, the corridor offers a unique opportunity for MetroPlan Orlando to lead an independent evaluation and creation of a vision. To find out more about the Corrine Drive Complete Streets study at CorrineDriveStudy.org. For questions regarding the program, contact Elizabeth Whitton at 407-481-5672 x312 or ewhitton@metroplanorlando.org. Learn more about current public transportation and proposed bus and rail projects. How transportation planning can support better public health. Info on projects, safety, and planning for bicyclists.